While the setting for The Appetites of Girls (Putnam, 2014) is specifically Brown University in 1993, the emotions and issues explored throughout the book are universal. Readers meet four college coeds who room together, each of them with her own needs and expectations, and all wrapped up in their eating habits. While Kirkus notes this is “a beautifully written … tale of women finding courage,” my review on the “Adult Books 4 Teens” blog says, “teens will be intrigued by the intimate connection each experiences between food and other, more ephemeral desires.” SLJTeen caught up with author Pamela Moses, who by no coincidence, received her undergraduate degree in comparative literature from Brown University, RI. Pamela, congratulations on the success of The Appetites of Girls. It’s such a wonderfully layered novel, inviting readers to explore the depths of young women’s need for fulfillment. Can you tell us a little bit about how the meaning of appetite evolved as you wrote the novel? Thank you so very much, and what a great question! My original concept, as I began work on the novel, was to explore the ways in which the emotional needs of young women affect and are reflected in their eating habits—their literal appetite for food being tied together with appetites for love, attention, and approval. As my characters developed, however, I understood that, beyond this, at the heart of each of the friends’ stories, was the very human desire to triumph over their own weaknesses—to believe the best in themselves. Ultimately at the deepest level, “appetite” in the book, to me, means the longing to be whole, the longing to claim the strongest and truest parts of oneself. The bulk of the story concentrates on the experiences of four young women sharing a suite while attending Brown University. Yet readers know much about these women before they reach that part of their lives, thanks to vibrant backstories introducing each character during girlhood. Did you write these first? I did begin with the friends’ backstories. 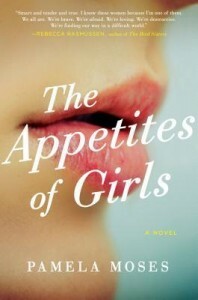 In fact, all of the chapters of The Appetites of Girls were written in chronological order. I have learned about myself that before setting to work on a piece of fiction, I must have my ideas fully outlined and organized. I need to have a clear sense of my characters’ starting points, of the journeys they will take, and of the ways in which their stories will conclude before I feel I can dive in. As I write—and then as I edit and edit and edit!—much of what I originally had planned may be replaced, and layers are added; but I need a detailed road map in place before the more playful and creative aspects of writing can begin. How did you select the girls who would be sharing that suite at Brown? I wanted the four friends to have different backgrounds—socially, culturally, and economically, as well as in terms of their family dynamics—because I wanted to say that despite their varied upbringings and early experiences, they share a very common struggle: the struggle to overcome self-doubt. Each of the friends must learn to listen to the voice in her own head telling her that she is valuable, that she is strong. She must learn to hold on to that voice and to believe it. For so many girls of every possible background, this comes with the territory of emerging from childhood into womanhood. As Ruth says in the book, this is the battle that “must be waged and won if we are to grow, if we mean to claim what is truest within.” The Brown University setting feels very natural. Did you attend Brown during the same time period depicted in the novel? I graduated from Brown in 1992, and so the time that the friends spend at the University mirrors my own four years there. With a few exceptions, the details of the setting are real—the names of the buildings, the events on campus, the descriptions of the surrounding neighborhood. The characters in the book, however, are not based on the friends or roommates I had in college. If anything, each young woman reflects a part of me—those things I have struggled with or hoped for. This novel is packed with insights on the way women cope with expectations from family, lovers, and society. 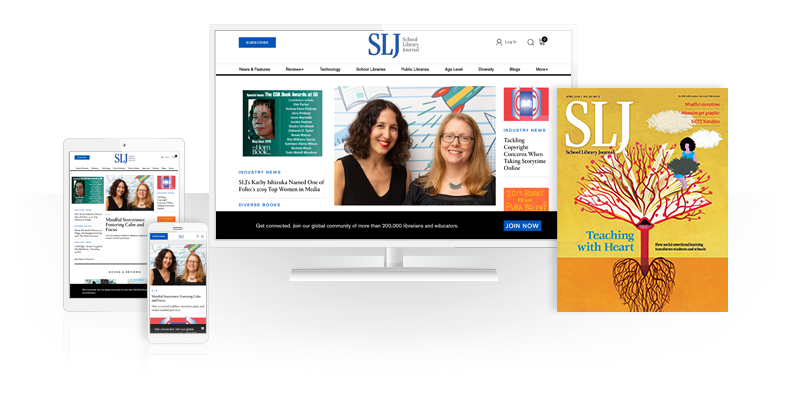 Have you received a lot of feedback on this from readers? The most rewarding part of writing, I think, is finding that readers have connected to your story, to your characters in some way. And, yes, [they] have shared with me their own feelings about the expectations of society and family, lovers, and friends. Every young woman grapples with each of these pressures, at least at certain points in her life, I think. What seems to have struck a chord with readers most especially is the way in which the girls in the book are affected by the expectations placed on them by their mothers. I receive feedback on this topic more than any other. And perhaps this shouldn’t be surprising. The way our mother sees us, the way we first see ourselves in her eyes, shapes us; from the earliest age, it informs our worries, our needs, our attachments, our dreams. And this, in turn, can affect how we react to and cope with the expectations placed on us by others later in our lives. Please tell us that there will be more Pamela Moses books in the future. I am beginning work on my second novel. I worked on The Appetites of Girls for a number of years, and the women in the book became so much a part of my life that I felt a bit as if I were betraying them when I began to entertain ideas for creating new characters. I think it is a little like having a second child. My son was two when I was pregnant with my daughter, and I remember worrying that with more than one child my affections would be divided. But, of course, once my daughter was born, I loved her completely without stealing any of the love I had for my son! I am grateful to be immersed in a creative project again. I feel most complete when I am writing. Diane Colson is a teen services librarian at Nashville Public Library (TN).